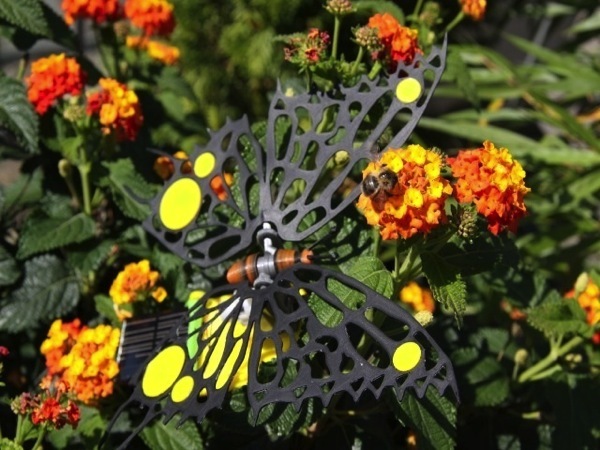 #3DxRobotics – Gareth “Chiprobot” Papillon 3D Printed Animatronic Solar Butterfly #3DThursday #3DPrinting « Adafruit Industries – Makers, hackers, artists, designers and engineers! 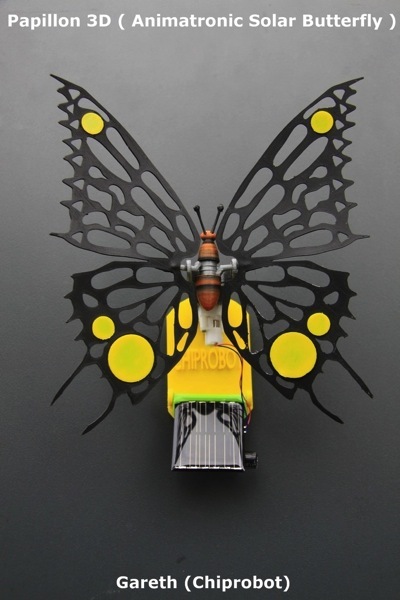 Swiss robotics designer Gareth “Chiprobot” shared this solar powered animatronic butterfly on Let’s Make Robots! and Thingiverse. This is my latest Solar powered Animatronic Butterfly. She will flap her wings in the lightest of breezes and fend off the bees. The Solar cell circuit is based around a “Miller Engine” , it basically charges up a 1 Farad capacitor and then ports this power in one go to the motor that drives the wings. This configuration allows her to work in very low light conditions. She was designed using Blender 2.68a as an exercise in creating drive systems for ornithopter systems. It was a good test for my Ultimaker and most of it was printed @ 0.15mm resolution. 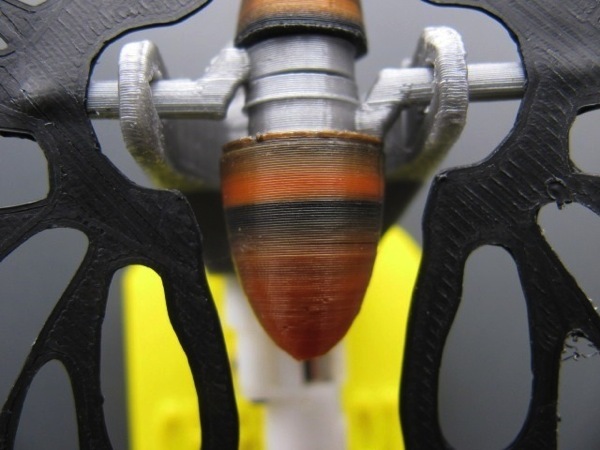 The Wings were printed with Flexi_PLA to give that realistic wing overshoot flap…. No she does not fly freely (because of her “Holy” wings) but does a good job of fooling the neighbors on our balcony ….. however i extrapolate that the mechanism could be speeded up to accommodate some flying derivative.